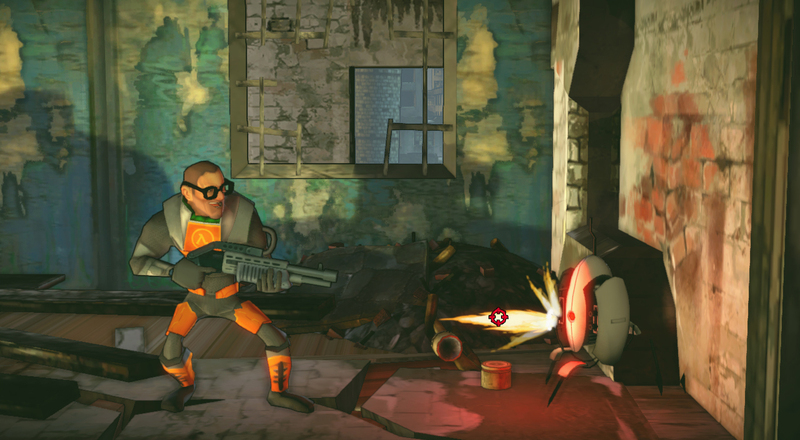 Dimurge Studios recently released their newest title Shoot Many Robots on Steam. The main objective of the game is in the title; you shoot robots and take their loot. This 2-D side scrolling shooter takes on the platforming gameplay of nostalgic games like Contra and if you pick it you might just have a enjoyable experience. Co-op: You can play with up to four players in the game and that is when it is the most fun. Trying to shoot more robots than your friends gives the game a competitive feel and stealing loot before they can pick it up makes it even better. Shooting and Looting: The name of the game tells you what you will be doing through the whole game but the gameplay is so fun and there are so many different weapons to find it never feels repetitive. The earlier guns are easy to get the hang of but the real fun begins when you find special weapons. The crazier weapons that you find deeper in the game range from rocket launchers that shoot gnomes to ray guns that freeze enemies. 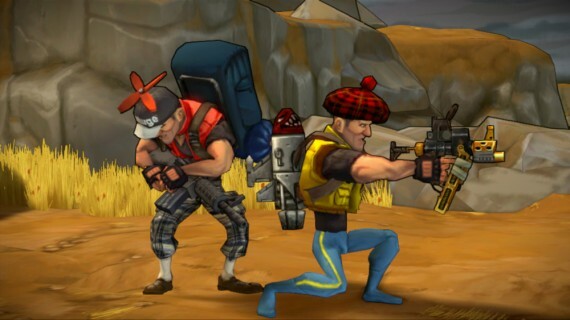 Loot: The weapons aren’t the only thing that gets wild and can be equipped to your character. Different bots and crates will drop equipment that you can pick up and equip for special bonuses. There are tops, bottoms, and backpacks all of which change the look and abilities of your character. The highest level for loot in the game is 50 which took quite a few hours of playtime to get to. Customization: With all of these different weapons and equipment pieces, you can tell they wanted your character to feel like your own. The fact that I can have a helmet that gives me low gravity, while wearing a tutu and carrying a baby on my back lets me know I can set myself apart from my team mates. All the different items affect your stats in different ways, if you want to tank for the team there are items that let you do that, but if you prefer to stay back from the action and kill from afar you can equip things to let you do that too. Action: No matter what enemies you are facing at the time whether it be random bots or bosses, there is always a source of action on screen. Every situation plays out different so it will keep you on your toes, sometimes you will need to move around like crazy and others you may need to stay confined to smaller areas to succeed. Like I mention earlier co-op makes the game more fun and will also increase the amount of action by bringing in three more players and the bonuses. Cross Over: Steam offered a pre-order bonus for Shoot Many Robots and while you can’t get it now it was great to see that it was offered. 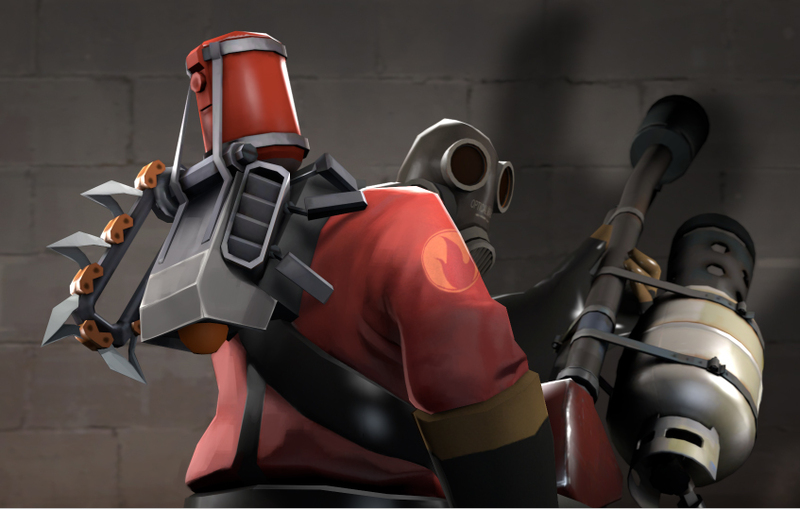 If you pre-ordered you got the Scrap Pack which included a Chopper robot backpack for the Medic and Pyro of Team Fortress 2 and a Gordon Freeman outfit for Walter that made Portal turrets randomly appear in-game. Boss Battles: When people think of their favorite boss battles you can bet most will be one that was a challenge and they managed to overcome it. In Shoot Many Robots you don’t really have any bosses that were super challenging and memorable. Had they used a crossover boss and made you fight GladOS they could have made it very difficult and it would have been highly talked about. Dimurge Studios did an amazing job with the game and people will know that they are getting into just from the name. The fact that it has solid gameplay with great humor and co-op makes it easily worth the ten dollar asking price and will keep people interested. They game us many different forms of customization, some for looks and others to help you beat the game. Go out (and by go out I mean head to your favorite downloadable source as it is on XBLA, PSN, and Steam) buy the game so you can Shoot Many Robots while you scroll sideways and have plenty of fun.